For most of us, we won’t have to experience a disastrous home loss such as a flood, fire, earthquake or other disaster. That doesn’t mean any of us should be less prepared for such an event should one occur. Preparing a home inventory can be a large task, but taking the time to do so can make a difference of thousands of dollars when it comes to your claims settlement as well as simple ease of processing your claim. For many of us, where we live symbolizes us and what is in that house symbolizes our lives. Our belongings represent our memories, personal style and even investments that hold significant value such as art. When you add up how much all of your personal items are worth, it can be a substantial figure into the many 10s of thousands of dollars or more. Home insurance claims from disasters such as flood or fire are traumatic. A home inventory checklist can help you remember quickly what items you had. Would you recall exactly how many pairs of jeans you had and what brand they were? Would you recall how many pairs of shoes you had or what brands they were? What about art? Could you recall the name of the artist and how much you paid for it? Taking the time to inventory your home can be useful in the event of theft or damage to the contents of your home. Keep track of your items with an easy to use Microsoft Word or other online chart! You can even attach photos of your items and quickly send this chart to your insurance agent to help speed up the claims process. Another way to document is with a thorough video or video series. Be sure to store your home inventory checklist in a safe place like in the cloud. The good news is your insurance agent likely gave you sufficient coverage for your personal property. If you feel like you need more, be sure to tell your agent. Home, renters and condo insurance policies typically come standard with this coverage. 360 Insurance was founded on the principles of superior service, trust and experience. 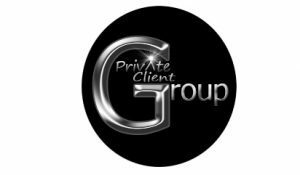 As an independent agency in Las Vegas, we are able to provide our clients with the finest A-rated products to suit all their personal, business and retirement needs. We’ve been a part of this valley for over 43 years! So, a great relationship with our agency is an important one. We want to be your agency for life and we hope we can earn the privilege of having you refer your family, friends and associates to join us. Looking to Hire a Contractor off of Craigslist? We Share 4 Tips. California: dba: 360 Insurance Solutions, LLC.